Suzy is our Patient Care Coordinator and has been in the dental field for many years. 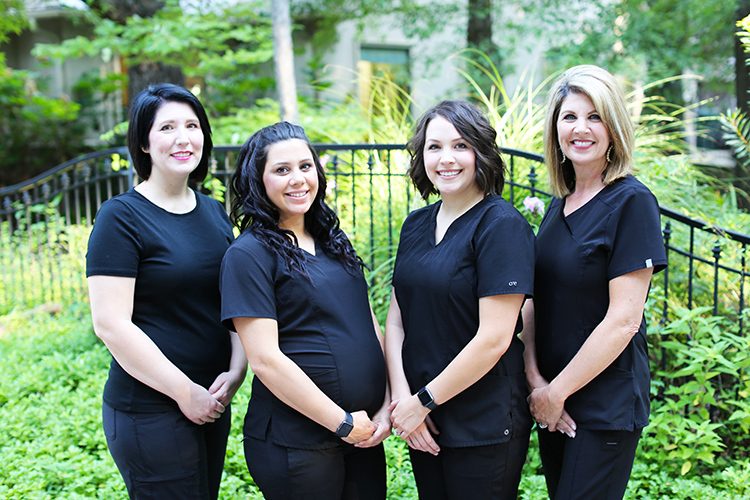 She began her dental career in the orthodontic field and joined the Copeland Creek Dental team in 2012. Her pleasant personality and gentle spirit shows in her work and she is very loved by our patients and staff. Suzy has been married to Jason since 2004 and they have 3 wonderful children. Taylor, Tanner and Tucker keep them very busy with hunting, baseball and other sports. Suzy loves spending free time with her family and friends and enjoys shopping and traveling. Tiana is a wonderful asset to our Copeland Creek Dental family. As a treatment coordinator, Tiana is an excellent communicator and this allows patients to fully understand their treatment plans and to feel taken care of. As a former dental assistant, Tiana is aware of the clinical aspects in our dental practice and this allows her to be a caring advocate for all of our patients. Her calm demeanor and welcoming personality helps patients understand all aspects of their dental care. Tiana and her husband Drew have one beautiful daughter, Corbyn Rea. Tiana loves being a mom and enjoys her family time when she is at home and not at the office. Ashley has been with our Copeland Creek Dental Team since 2017. She is certified as a Registered Dental Assistant and this allows her to use her clinical knowledge in communicating with our patients in the front office setting. She has also received additional training at the University of Texas Health Science Center – San Antonio. She is dedicated to serving all of our patients’ insurance and financial needs. She enjoys helping patients accept the highest level of dentistry while guiding them through the financial process in the healthiest possible manner. She is a mother to three beautiful children. When she is not chasing them around, she is here to help our patients in any way she can.